Kits made especially for your pets. You'll find unique items such as leashes, syringes, and eyewash in these kits that have been developed in collaboration with leading veterinarians. 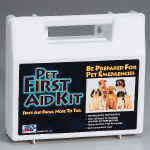 Large pet first aid kit with all the items you need for your pet's common injuries. Contains thermometer, bandages, wound care items, antiseptic, peroxide, pet first aid guide. Organizers/wall mountable case. 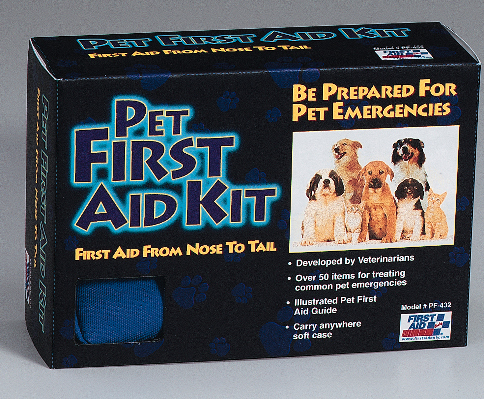 Soft-sided pet first aid kit with all the items you need for minor pet emergencies. Great for use in the outdoors. 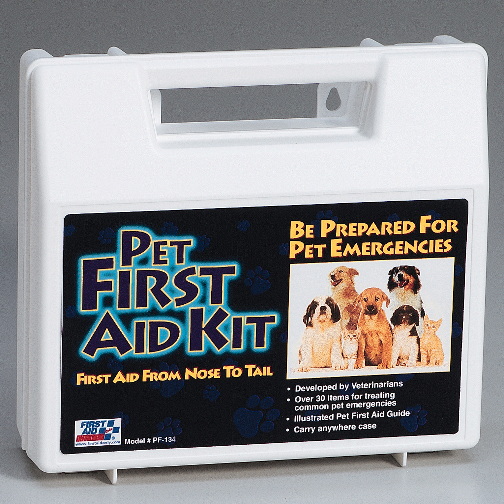 Contains bandages, antiseptic wipes, peroxide, wound care items and pet first aid guide.